Home > LOAN - CIBIL > Errors in CIBIL Loan Report: How to correct them in online? Errors in CIBIL Loan Report: How to correct them in online? 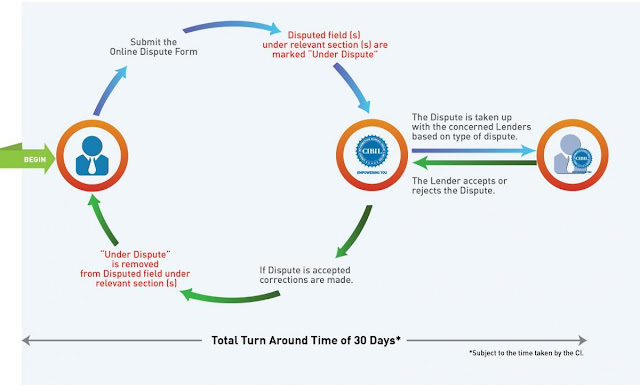 A dispute request can be raised based on either a CIR purchased by you directly from CIBIL or a CIR accessed by the Credit Institution (CI) with whom you have applied for a loan. The CIR consists 5 sections namely Personal Information, Contact Information, Employment Information, Account Information and Enquiry Information. If any information on your CIR is inaccurate or needs to be updated, we will assist you in doing so. You can initiate dispute online with CIBIL for any inaccuracies reflecting in your Credit Report. CIBIL does not charge its consumers for this service. If you have access to myCIBIL, click here to Raise an Online Dispute.